We flew into Sydney and were greeted with blue skies and sun. After a quick trip through immigration, baggage and customs (we didn’t get stopped and searched like the ‘Border Force’ programme shows) we jumped in an Uber and made for our hotel. Unlike most other international airports, Sydney’s is very close to the centre of town so it only took 20 minutes to our hotel in the Chippendale area of town. The room wasn’t ready so we left our bags and headed out for the day. The temperature was scorching and welcome after three weeks in the comparative cold of China. Walking into town took a little longer than we remembered from our last visit 3 years ago but it was pleasant none the less. 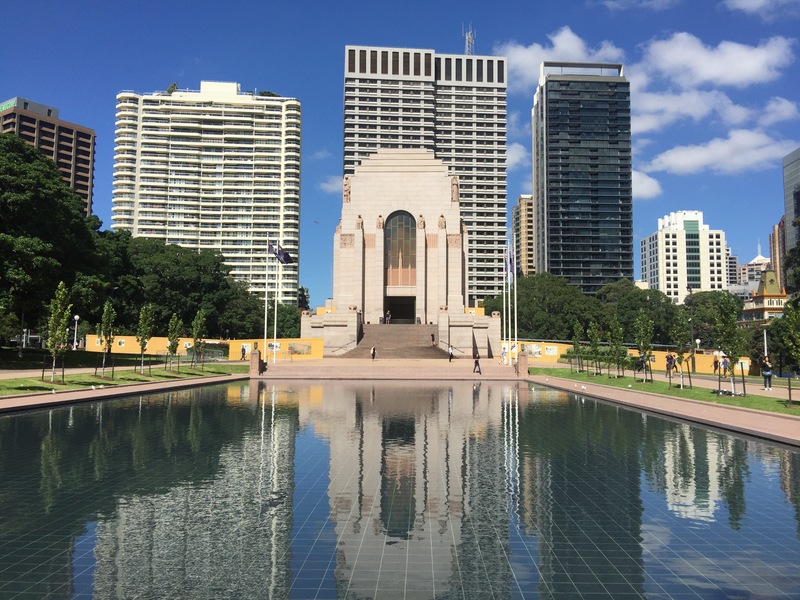 We walked past the Central train station and stopped in Hyde Park and took photos of the war memorial and fountain. 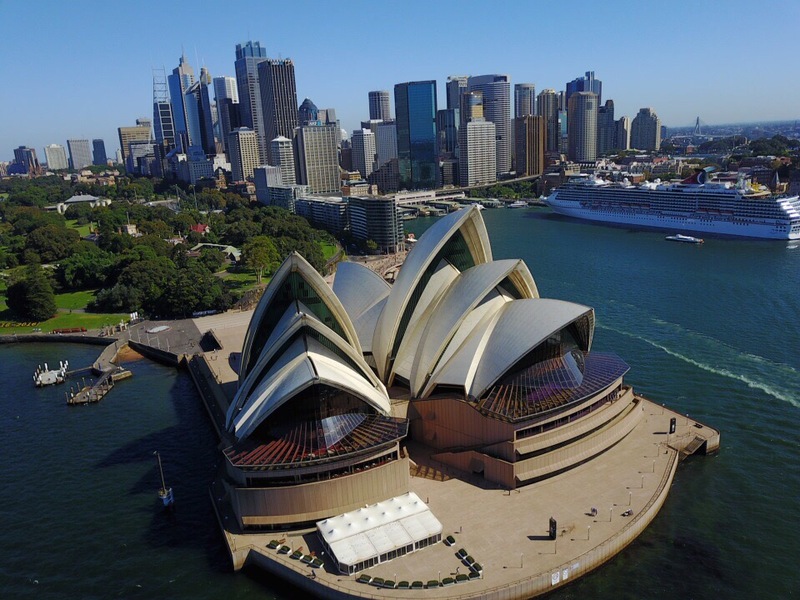 We continued down to the harbour passed the city hall and oldest building in Sydney ‘The Mint’ and straight for the Opera House. 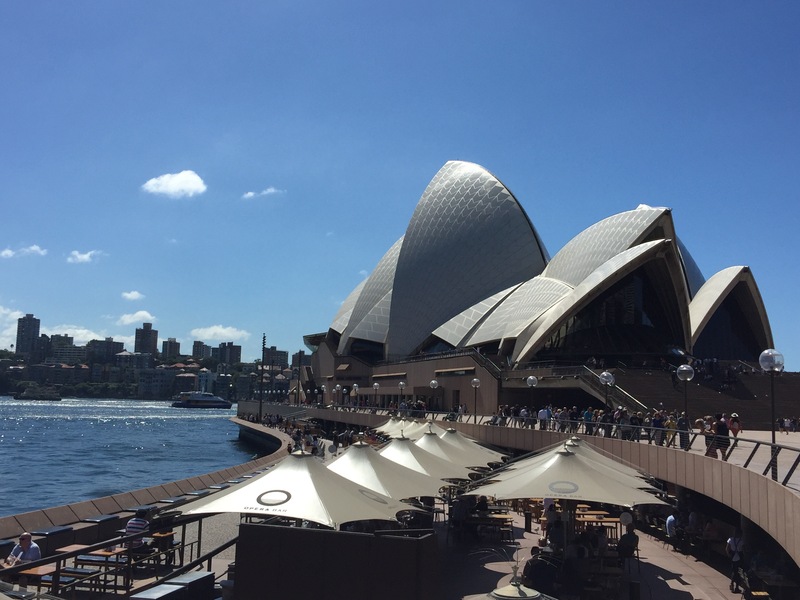 Wandering around the iconic building we snapped pictures of the iconic Bridge and Opera House. Selfies done from a variety of angles we stopped for lunch and one of the harbour restaurants; it was Australian prices so expensive given the pound. Beer and burger sunk we headed to the ferry terminal and nipped across the harbour to the other side. The tickets are cheap and a good way to see another view. We didn’t make the trip across the harbour during our previous visit here so it was also something new. 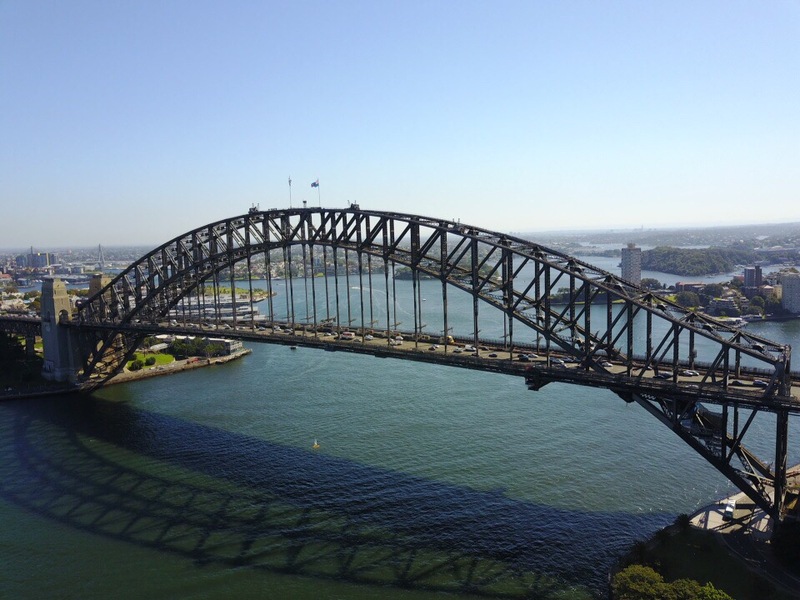 We landed next to Luner Park and walked under the bridge to the other side, where Mike flew the drone and got some sensational shots of the Harbour Bridge and Opera House. We decided to walk back over the bridge, not the iconic up and over with harnesses (as it is incredibly expensive), but the footpath next to the traffic. Again this offered another view of the harbour and interestingly all the Australian navy warships in the next harbour. Mike wasn’t keen on the walk over the bridge given his fear of heights and the fact that it shook slightly as the traffic went over. It now being late afternoon we walked back to the hotel through the CBD and shopping district. The room was ready by the time we got back and we opted for a quick nap before heading out in the evening. The room was off a shared kitchenette and bathrooms were also shared, something we didn’t realise when we booked. That evening we headed to a few bars. First we went to the Beresford Hotel (not a hotel), where as it was a Monday where showing a film (Studio 54) in their garden with reduced priced Pizza and wine! After a couple of bottles we continued on and found some bars- none busy as it was a Monday. We called it a night around midnight and got some sleep before our adventure tomorrow in the blue mountains.